The proposed amalgamation of Dena, Vijaya Bank with Bank of Baroda the second largest public sector bank after State Bank of India. 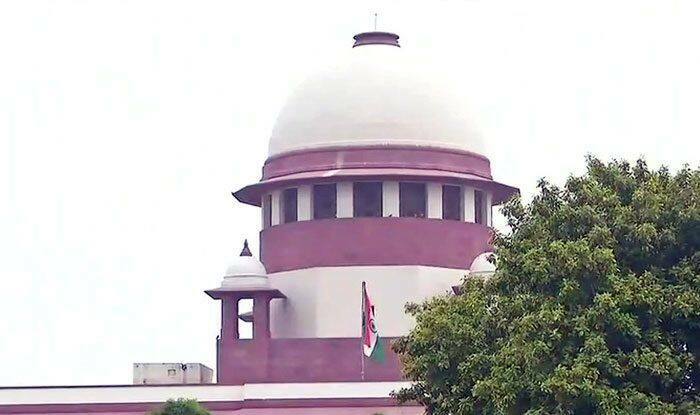 New Delhi: Clearing the decks for the scheduled merger of three public sector lenders — Vijaya Bank, Dena Bank and Bank of Baroda — the Supreme Court on Thursday refused to stay the amalgamation. The top court dismissed the applications filed by several bank officers’ associations for staying the merger, effective April 1. The proposed amalgamation will make Bank of Baroda, which will merge the other two lenders with itself, the second largest public sector bank after State Bank of India in place of Punjab National Bank. A bench of Justices R F Nariman and Vineet Sharan said, “All interlocutory applications seeking stay are dismissed”. At the outset, senior advocate Shyam Divan, appearing for bank officers associations, said that there were several flaws in the decision taken for a merger of three banks as there was no effective consultation or concurrence with the Reserve Bank of India on the issue. He said that even the board of directors of the banks were not adequately constituted to take a decision of merger like this. “The Board of Directors should have been informed and given time to contemplate on the proposed merger of the banks but everything happened on January 2,” Divan said. He said that the board of directors passed a resolution on January 2, the Cabinet approved the decision on the same date and even the gazette notification was issued on the same day. The bench asked Divan as how is he affected by the decision of merger of the banks. He said that employees will suffer due to the merger as there will be an aspect of redundancy. Senior advocate Mukul Rohatgi, appearing for Bank of Baroda, said the merger was done within the statutory framework and all requisite procedure was duly followed. “All the banks in question are public sector banks and as far as employees are concerned, under the scheme, their terms and conditions of employment will remain the same. They are not affected at all. It was a policy decision that two weaker banks join one stronger bank,” he said. He said that as far as effective consultation with RBI is concerned, the process had started way back on September 17, 2018. Solicitor General Tushar Mehta, appearing for Union of India also opposed the plea of bank officers and said it was a purely an economic policy decision taken by the government for which detailed consultation has taken place. He said three committees were constituted, Parliament was informed and the RBI was consulted after which in principle consent was given. “Everything was done in a purely transparent manner and this is an economic policy decision taken by the government,” he said. The bench then said it is rejecting all the applications seeking an immediate stay of the decision to merge the three banks.